Click on the following link for the specification, dimension, pin-out and footprint information of the varies mini relay type. 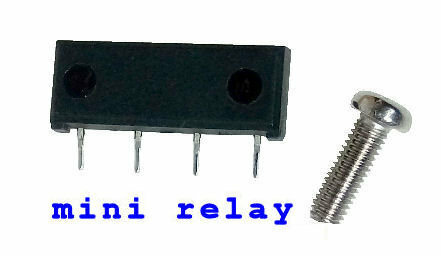 A small mini relay works very much the same as a bigger size relay. The significant difference is in its size and current rating of its switching contact. Please contact PIC-CONTROL to purchase your mini relay today. Click here to buy 5V Mini Relay from our online store. For 3.3V or 24V mini relay, please contact PIC-CONTROL for further information. 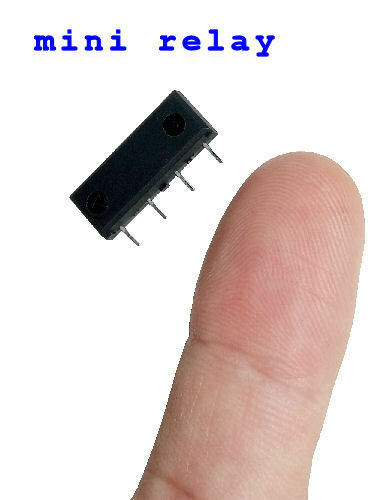 Looking for a mini solid state switch for 230Vac power? Check our this mini solid state AC switch.